Places to visit this Christmas! With Christmas and New Years just around the corner, some of you may be feeling the stress of shopping, the burden of work deadlines and that nagging feeling that you are slacking of a little on the exercise front. 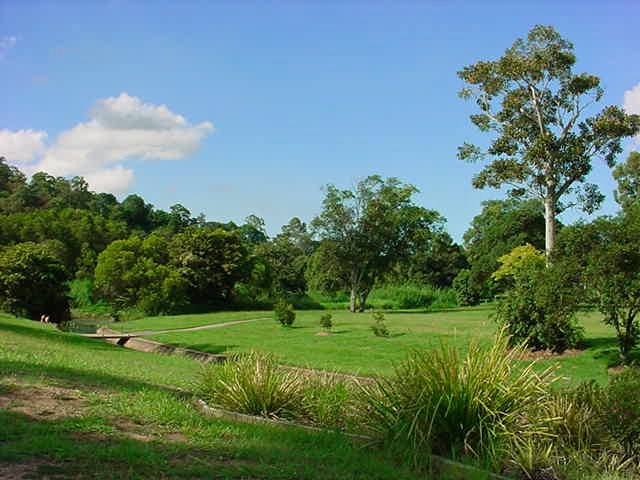 As a reminder to get out and about during the holiday season, I’ve found a small list of some beautiful places around Brisbane that are worthy of a good exploration. So instead of sitting around home watching “It’s a Wonderful Life”, pack a tasty lunch, round up the kids and get in touch with some of Brisbane’s best and finest. Length: From Brookside Shopping Centre to Toombul Shopping Centre – 13 kilometres one way. Why I Love This Path: This pathway has recently been renovated by the Brisbane City Council. 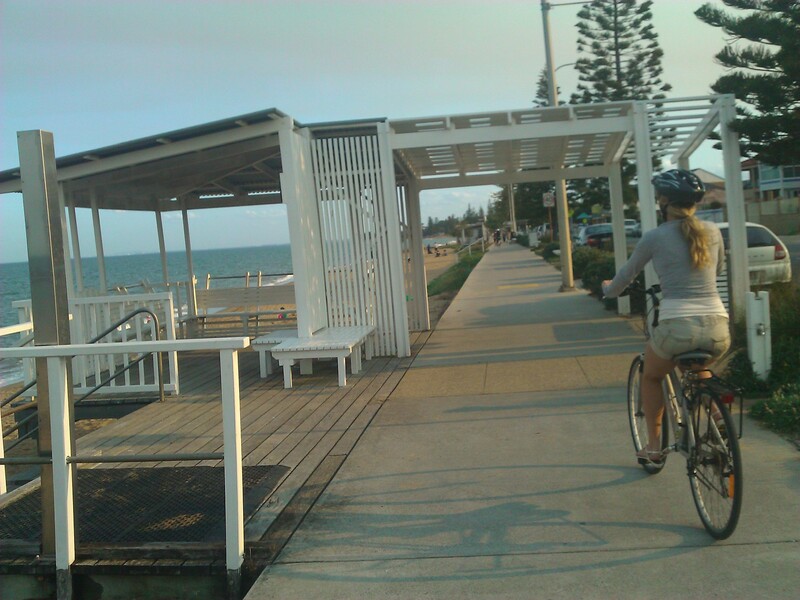 This cycleway will take you alongside the Kedron Brook (a river inlet from the bay). Although this path will take you across some main roads, you will enjoy interrupted paths and back streets the majority of the way. There is a beautiful park just over the bridge from Shaw Park (Kalinga Park) which is the perfect place to enjoy a picnic. 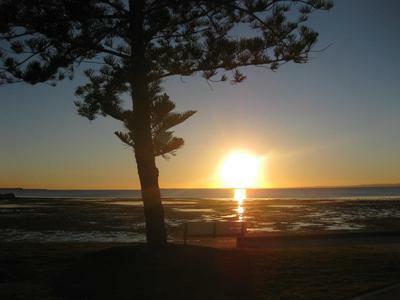 Length: Approximately 26 kilometres from Ted Smout Bridge to Deception Bay one way. Why I Love This Path: With views over to Morten Island and across the bay, this bike path is nothing short of picturesque. 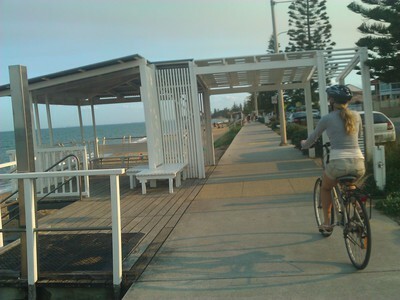 Have a dip in the lagoon at Redcliffe, enjoy the markets, the beach, the cafes, throw a fishing line off the jetty (if you can cycle with your rod), picnic in one of the gorgeous beachside shelters or cook a barbecue. You will be spoilt for choice out here. 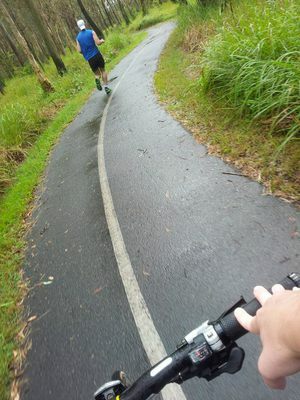 Connects with: Jim Soorly Bikeway (Boondall Wetlands). Exciting new developments are happening here. By 2014, this route will connect with northern and southern parts of Brisbane to make what will be the biggest cycle route in Eastern Australia. Length: Around 10km return journey. Why I Love This Path: Another bayside tranquil ride with lots of things to do along the way. Picnic, barbecue, swim, cafes, pub lunches and markets. Length: About a 30 kilometre roundtrip from Boondall to Toombul. 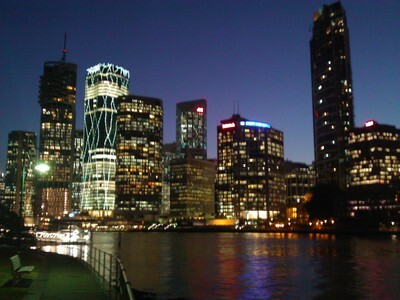 Why I Love This Path: This area of Brisbane is different and stunning. Cycle over the boardwalks that sit just above the wetlands and swamps and enjoy the many different terrains that unfold before you on this trip. Don’t forget to take a quick side trip down to Nudgee Beach! Length: 26 kilometres, 12 kilometres, 5 kilometres – there are a lot of different routes you can take. Why I Love This Path: These bike paths circulate some of the most beautiful parts of Brisbane’s inner city. With a multitude of things to do and see along the way- it will be the perfect day. Take into consideration that there are plenty of parks, beaches and stunning views to enjoy along each of these journeys. One of my favourite things to do is to take along a picnic and find the perfect place to enjoy it along the way.